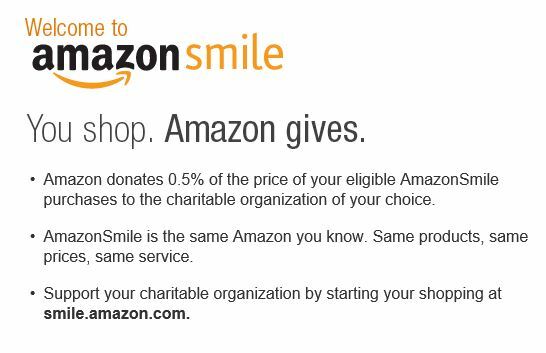 The AmazonSmile Foundation donates 0.5% of your eligible purchases to the charitable organization of your choice, at no added cost to you. Next time you shop on Amazon, go to Smile.amazon.com. Before you start shopping, click on Select a Charity, then type in CASCADE CHORALE ASSOC under “Pick Your Own Charitable Organization,” then browse the website as usual. 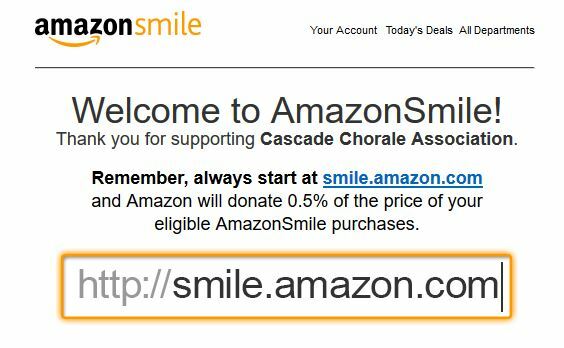 The shopping experience is identical to Amazon.com with the added benefit that the AmazonSmile Foundation will help support Cascade Chorale. Once you’ve linked your account to CCA, Amazon will remind you to start at Smile.amazon.com, and thank you for supporting the non-profit of your choice.